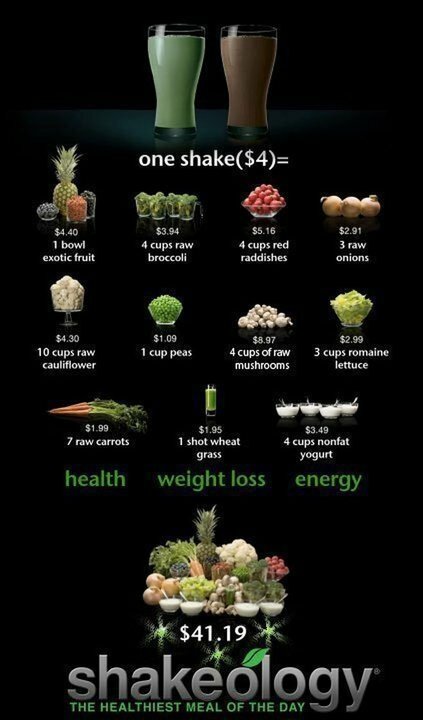 "Shakeology is more nutritious than a salad and tastes like a dessert!" 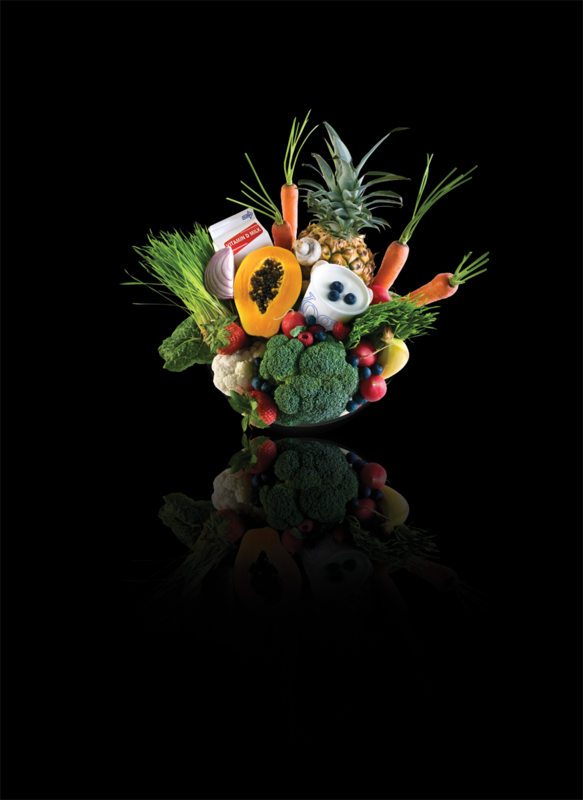 "Balanced nutrition even for those of us who 'eat like a 2nd grader.'" Shakeology can absolutely transform your health, with ease. But for this to happen, there's something you have to do: Drink it every day. Luckily, you will want to. Shakeology taste delectable as it gives your body your daily dose of dense nutrition. In fact, you will be amazed how you feel! So what exactly is Shakeology? And what the heck is in it? 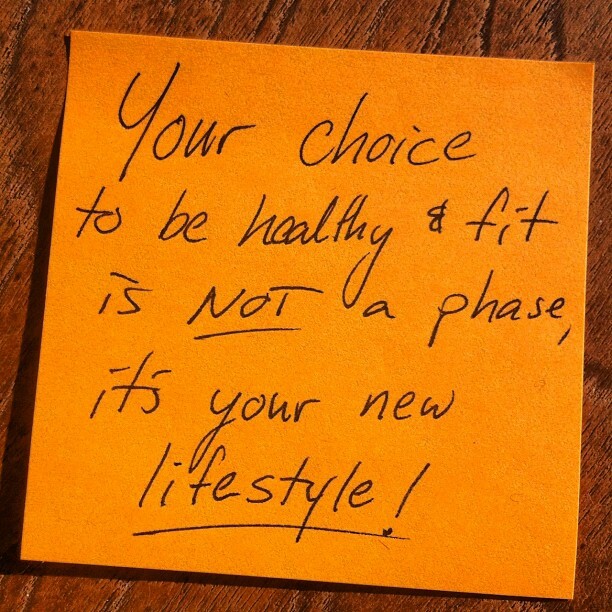 It is an effective way to help you lose weight, increase your energy and be the healthiest you can possibly be. 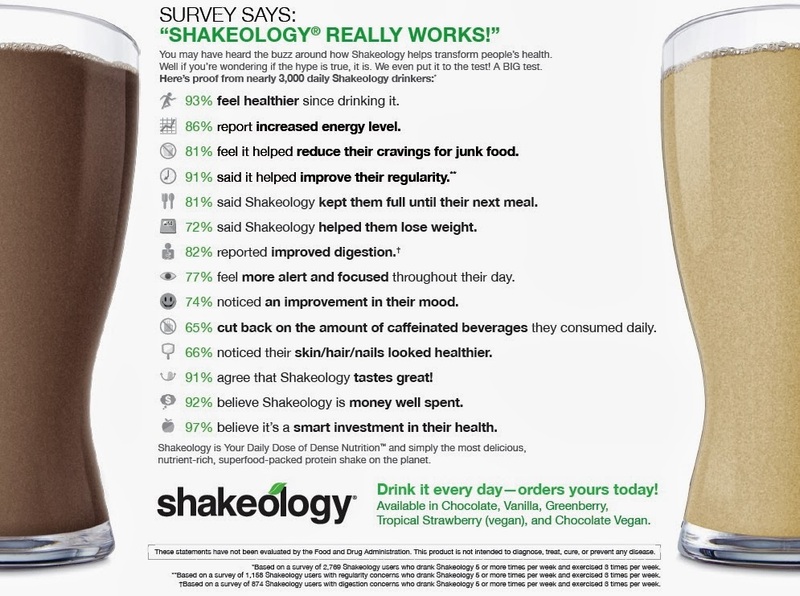 Shakeology can help you reduce cravings and promote healthy digestion and regularity. Shakeology recommends that you replace one meal per day with a shake along with regular exercise and a balanced diet. Participants who did this experienced remarkable health improvements. It can reduce your total cholesterol, reduce LDL cholesterol, reduce cardiovascular risk, and reduce oxidative damage caused by free radicals. I love drinking Shakeology because I am a busy parent and it's a quick, convenient way to get complete nutrition. 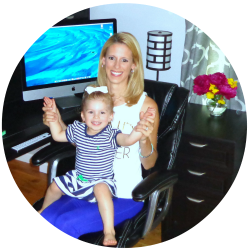 It gives me the energy I need to help keep up with my daughter and my hectic lifestyle. It is also easier and quicker to make, and tastier than a salad. Its an excellent way to healthy eating when a full meal isn't possible. If you don't like eating fruits and vegetables, then this is a great way to get all the benefits of eating a full bowl of fruits and vegetables without having to actually eat them. If you have high cholesterol, then this will help you lower total and LDL as well. It's so simple! Mix 1 scoop of Shakeology with 8 oz. of water. Add ice if you'd like it a little thicker or creamier. To make it more filling, blend your Shakeology with ice and nonfat milk, unsweetened almond milk, rice milk, soy milk, or coconut milk. Shakeology dissolves easily, but blending it for a few seconds will give it a thicker, creamier texture. Honestly, when I make my shakeology I'll use about 12 oz. of almond milk instead of 8 because I think it's just a little too thick. The more liquid you add the thinner it gets! If you are interested in trying Shakeology message me for additional information. CLICK HERE to check out my Shakeology website for more information and to purchase Shakeology. 1. You can sign up for Shakeology HD (home direct) which gives you discounted $2 shipping and automatically ships your Shakes to you each month. You can cancel at any time with no questions asked. 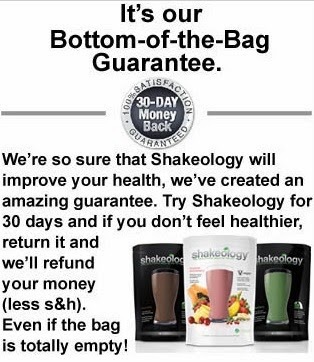 There is also a 30 day money back bottom of the bag guarantee. If for any reason you do not like the shake you can return the empty bag for a full refund. There's really nothing to lose! What do you get for your purchase of Shakeology HD (Home Direct)? You receive a calendar of 30 different ways to make each flavor. You receive discounted shipping (only $2) when you sign up for Home Direct. 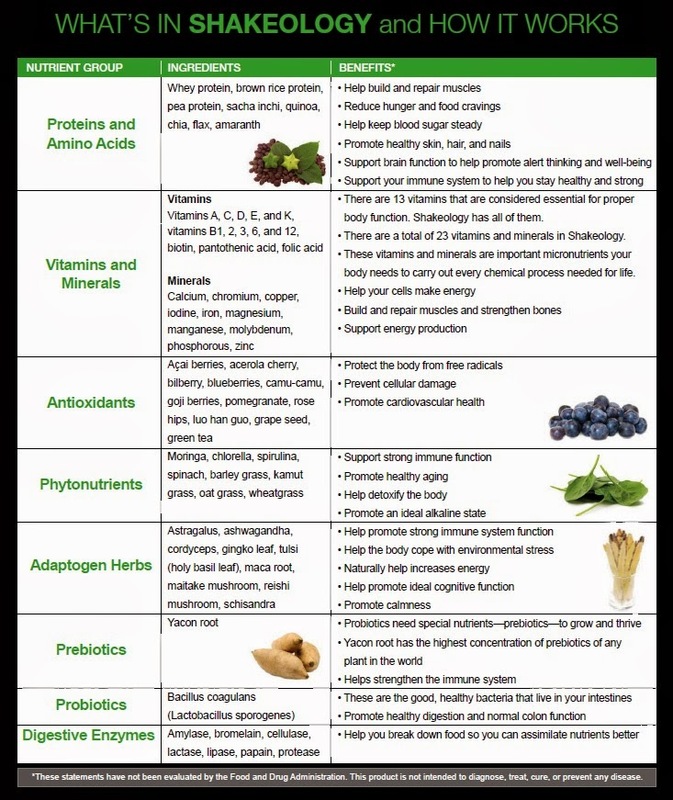 You not only get a shake but you get a nutrient rich meal that you do not have to worry about creating yourself!